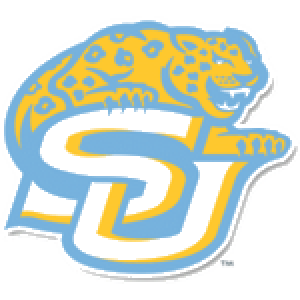 Head Women's Soccer Coach Jeremy Fontenot enters his second season leading the Lady Jaguars. Fontenot finished last year with 3-14 and making to the SWAC for the first time since 2014. Under his guidance, Fontenot helped produced two All SWAC performers in Sophia Zavala (2nd team, 2017) and Victoria Mendez (2nd team, 2017). Prior to his arrival, Fontenot earned a Bachelor of Science in Human Resources at Upper Iowa University. Fontenot coached the Lady Eagles at Parkview Baptist for three seasons and leading the team to the playoffs every year. He was named district coach of the year in his final season. Fontenot produced a handful of All-District players and two All-Metro players during his tenure at Parkview. Coach Fontenot has been married to his beautiful wife Ashley for 5 years, and reside in Baton Rouge with their two daughters, Jordyn (3) and Jayden (10 months).